Many physician-scientists have ideas for research that could lead to new treatments or cures for the patients they treat. But getting federal funding to support that research isn’t always easy. That’s why a “giving circle” at Mattel Children’s Hospital UCLA has so much impact. It offers pediatric physician-scientists the opportunity to pitch their ideas, win grants and change young lives. The circle, officially known as the Today’s and Tomorrow’s Children Fund, is made up of community members who are interested in medical research. Each year, they pool their donations of $5,000 per person. The members listen to presentations by doctors and then democratically select how to distribute the funds among the grantee or grantees. “TTCF is an innovative way for the community to embrace the work of our pediatric subspecialty physician researchers and actively participate in the exciting process of advancing science," said Dr. Sherin Devaskar, professor of pediatrics, executive chair of the department of pediatrics and physician-in-chief at Mattel Children's Hospital UCLA. Members come from a variety of backgrounds. Most join because they want to do something more than just write a check. They like the idea of collectively supporting a specific cause. 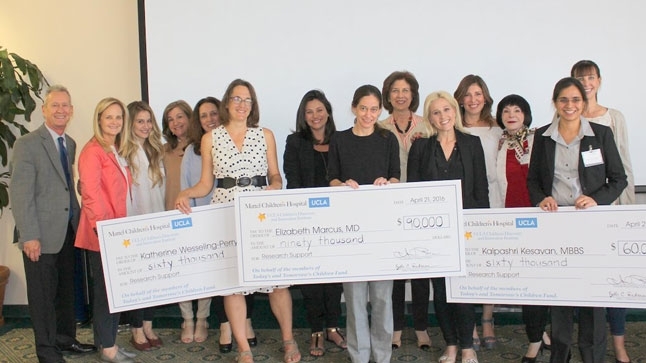 This year, Dr. Elizabeth Marcus, a pediatric gastroenterologist, won the grand prize. TTCF awarded her $90,000 to further her research on bacteria called Helicobacter pylori that causes stomach ulcers in kids. Dr. Kalpashri Kesavan, a neonatologist and Dr. Katherine Wesseling-Perry, a pediatric nephrologist, tied for second place, each receiving $60,000. Kesavan’s research uses a vibration device to correct breathing pauses in premature infants. Perry is studying the effects of kidney disease on bone and heart health in children. TTCF was created in 2006 and so far, the group has donated a total of $2.4 million to 25 projects at the UCLA Children’s Discovery and Innovation Institute. Pediatric cancer specialist Dr. Noah Federman received $135,000 in 2009 and can vouch for the significance of group giving. Want to join? Annual membership is $5,000. New members can join for an introductory contribution of $2,500. 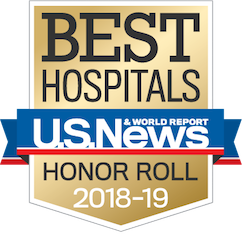 For more information, contact Danielle Dietz, assistant director of external relations at Mattel Children’s Hospital, at (310) 794-4431 or ddietz@mednet.ucla.edu.